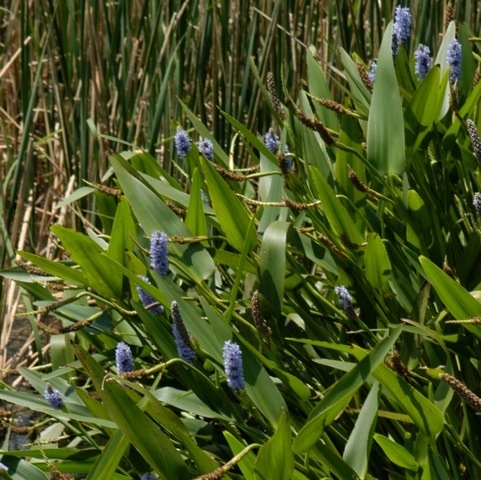 Pickerelweed is a perennial plant that can grow up to 4 feet tall. Leaves are shiny green, heart-to-lance shaped, up to 7 inches long, singly attached to a long fleshy petioles which grow in rosettes from the roots. Stems produce terminal violet-blue flower spikes 3 to 4 inches long. Flowers lasts only one day.